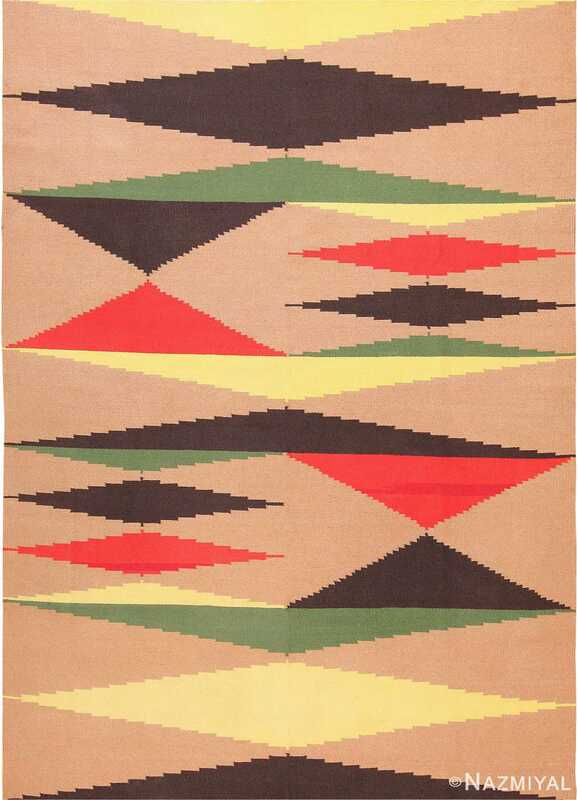 Vintage Scandinavian Rakel Callander Swedish Kilim Rug 49129, Country of Origin / Rug Type: Scandinavian Rugs, Circa Date: 1950s – True to so many Swedish kilim rugs, this piece consists of simple shapes and colors that ground and unify the patterns within. 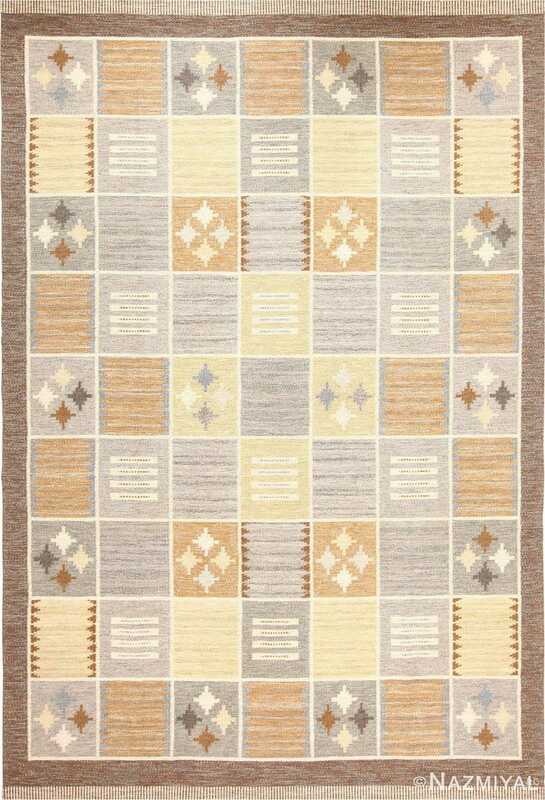 Through an angular arrangement of boxes and diamonds, this Scandinavian rug creates an almost storybook atmosphere, reinforced through the use of traditional colors, like cream, brown and clay. These boxes are arranged around each other in a tight formation. 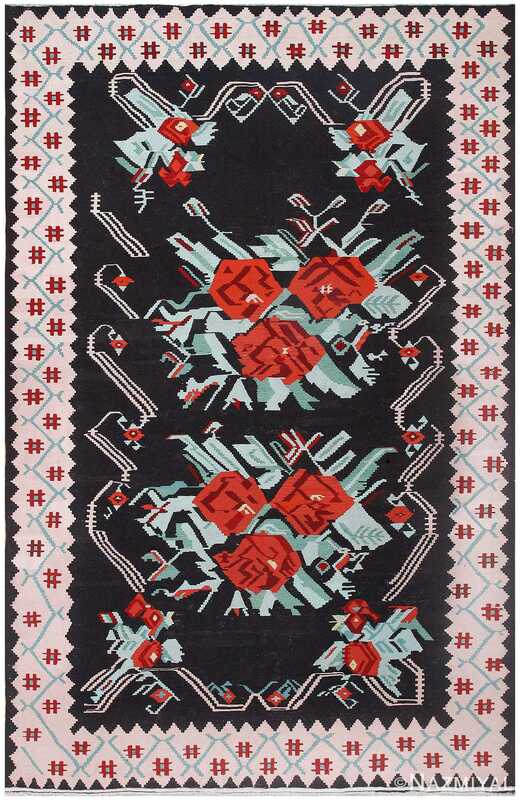 The boxes are broken up at regular intervals by alternating forms, which include configurations of diamonds, horizontal and vertically running zig-zags, with each primary motif assigned to an individual box when it comes next in the pattern of this vintage rug. 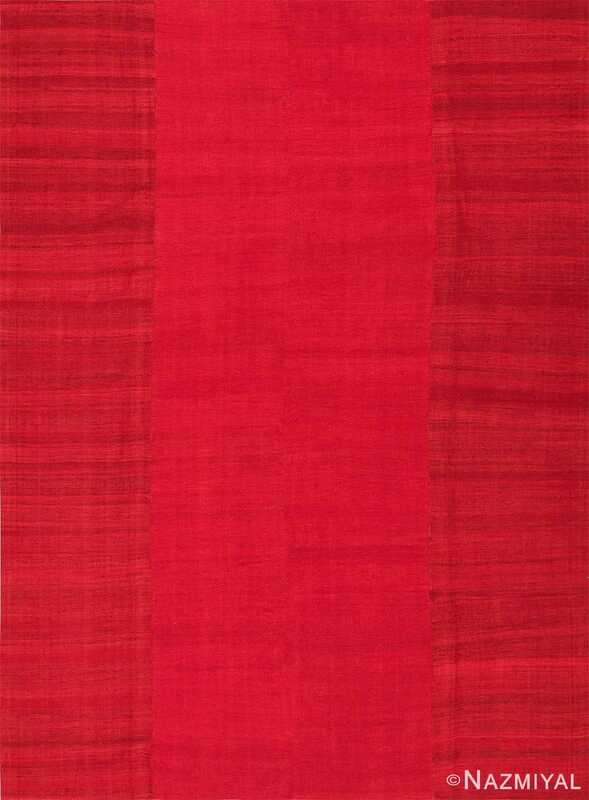 This stunning antique Mazandaran kilim has a beautiful balance of color and attractive proportions that are superbly modern even by today's discerning standards.